I am looking at give OAMC ago, but need to know how to adapt recipes for the freezer. The majority of recipes that I use do not indicate if freezing is recommended. Some of the recipes indicate freezing recomended after a specific step. Is there a way to work out if freezing is recommended? And, if freezing is recommended at what point? What a great question. Frankly, I think many recipe developers don't know if their recipes can freeze and never give it a second thought. So how do you know if you can freeze somthing? 2) Can you find similar recipes that have freezing instructions? Otherwise, before you make a ton for the freezer just freeze ONE serving portions. 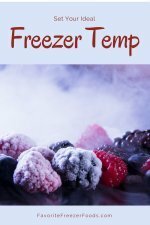 It's the physical changes to the cell structure of food that makes freezing hard more so than time spent in the freezer. 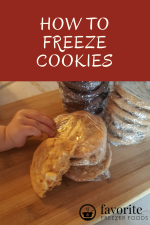 Try reheating with and without thawing and see if you still like the result. Now for the second part of your question; At what point can you freeze a recipe? The part BEFORE you add ingredients that can't be frozen or, the part when you want to pick up the recipe again. Meats must be raw or cooked. Period - don't under cook meat because it's not safe. Beans should be soaked or fully cooked if you're cooking dry ones because if you undercook them they stay hard (canned are fine to freeze as is). Pastas can be a bit undercooked, they will soften in the freezer and finish cooking when you reheat them. Most other foods should be assembled or fully cooked before being frozen. As a general rule if you don't have to cook it before freezing don't - unless you want to in order to save time reheating. For example, a lasagna can be frozen after it's assembled and baked from frozen. Or you can bake it first, so the cheese it melty and stuff and then freeze it in single portions that can be reheated in the microwave in minutes. I talk a bit more about this in my free ebook the Freezing Food Crash Course in regards to Time Savers versus Meal Starters and Prepared Meals. If you still have questions about this, or have questions about specific recipes feel free to ask.